Preparations are already underway for Monterey car week this coming August, and that includes naming the featured marques for each event. Mazda Raceway is kicking things off by declaring Jaguar a the star manufacturer for the Monterey Motorsports Reunion. 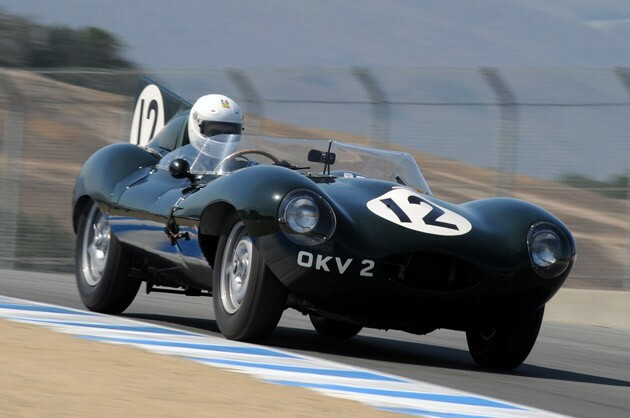 Jaguar has a special history with Mazda Raceway and the vintage races, with Phil Hill winning the inaugural Pebble Beach Road Races in 1950 behind the wheel of a Jaguar XK120. This will be the third time Jaguar has been selected, having previously been featured in 1976 and 1992. The historic races will highlight the Jaguar C-Type, which will be celebrating the 60th anniversary of its 24 Hours of Le Mans victory in 1951 - the first of seven for Jaguar. The races will also feature the 50th anniversary of the elegant Jaguar E-Type. For more details visit mazdaraceway.com or read the official details in the press release after the jump. Jaguar named as featured marque for 2011 Monterey Motorsports Reunion originally appeared on Autoblog on Tue, 18 Jan 2011 18:28:00 EST. Please see our terms for use of feeds.